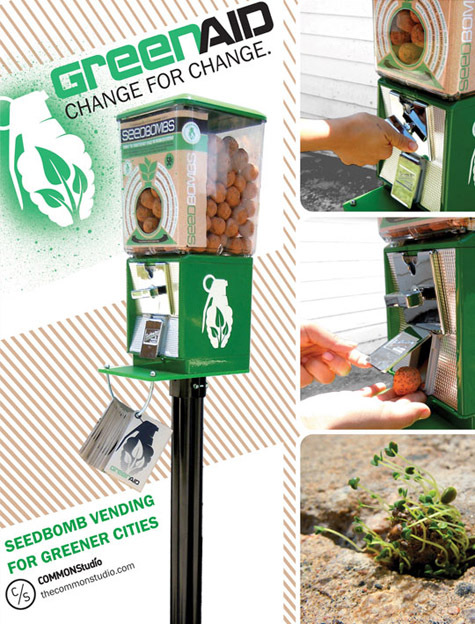 Seedbombs by Greenaid bring guerrilla gardening to a whole new level. Made from a mixture of clay, compost, and seeds, seedbombs are a great way to combat the many forgotten grey spaces you encounter everyday: from sidewalk cracks, to vacant lots and parking medians. They can be thrown anonymously into these abandoned urban sites to reclaim and transform them into places worth looking at and caring for. Seedbombs have a variety of wildflower options based on your US region. Plus, you get a slingshot. I've been following your blog for a while now and I must say you showcase the most truly wonderful things! I love this Seed Bomb. Really, who can pass up a sling shot? !